Need a new idea for lunches? 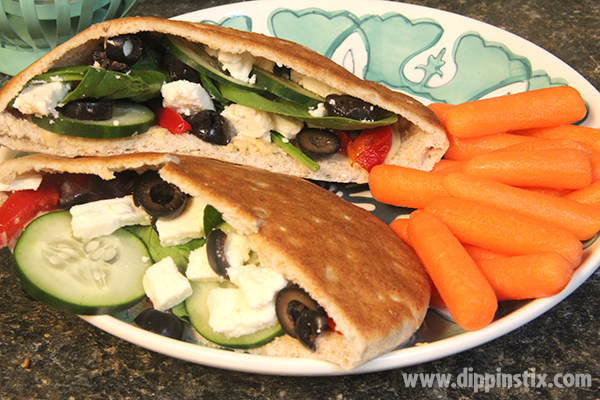 Try this Mediterranean-style veggie pita for something fresh and delicious. 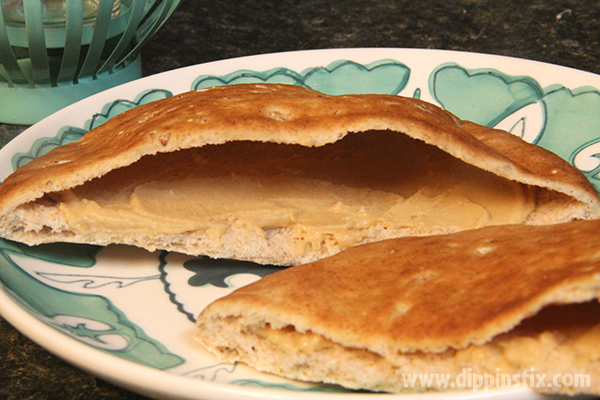 Split open the pita & spread the hummus from the trays on one side. 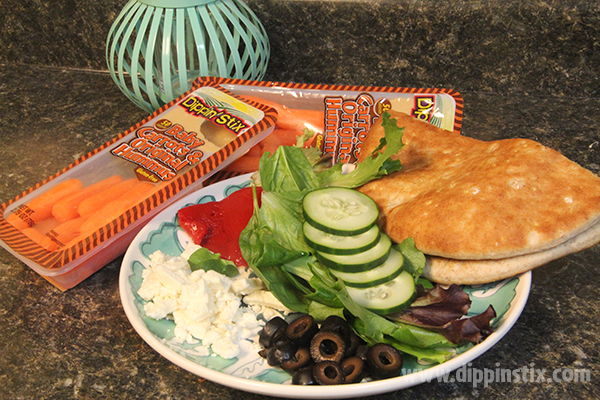 Fill the pita with veggies, serve with the remaining carrots.